Nachos. The ultimate snack to share with your loved ones. All you need are some tortilla chips, warm nacho cheese, jalapeños and you have yourself a party. A sticky, cheesy, party. Oh Bite It! has a rad variation to the classic party snack. Instead of chips and cheese, however, she decides to use sweets. 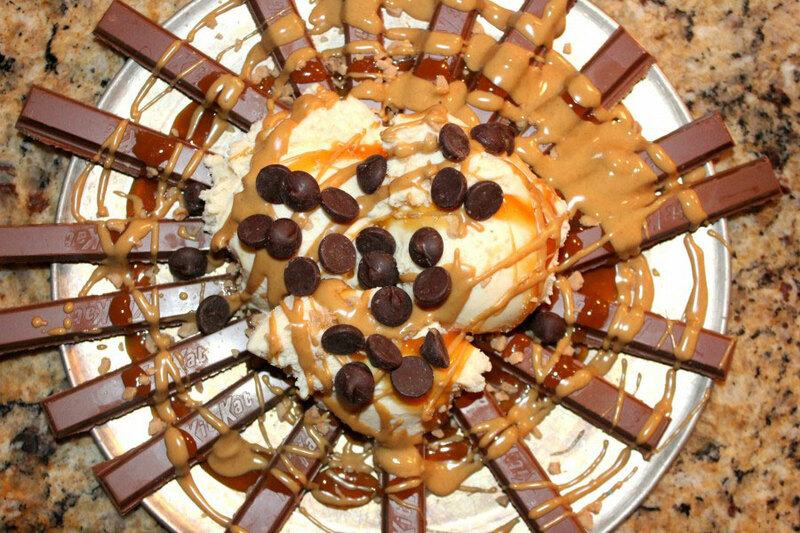 All you'll need is ice cream, peanut butter, caramel toppings, chocolate toppings, chocolate chips, bits of toffee, nut and of course a generous amount of Kit Kats. Layer your Kit Kats evenly on a platter and start adding your toppings so that each cookie gets some. Continue to do this until you have a heaping pile of "nachos" that leave your sweet tooth aching and your heart burning with desire. The only thing that would be better than this would be a platter of regular nachos to balance out the sweet. 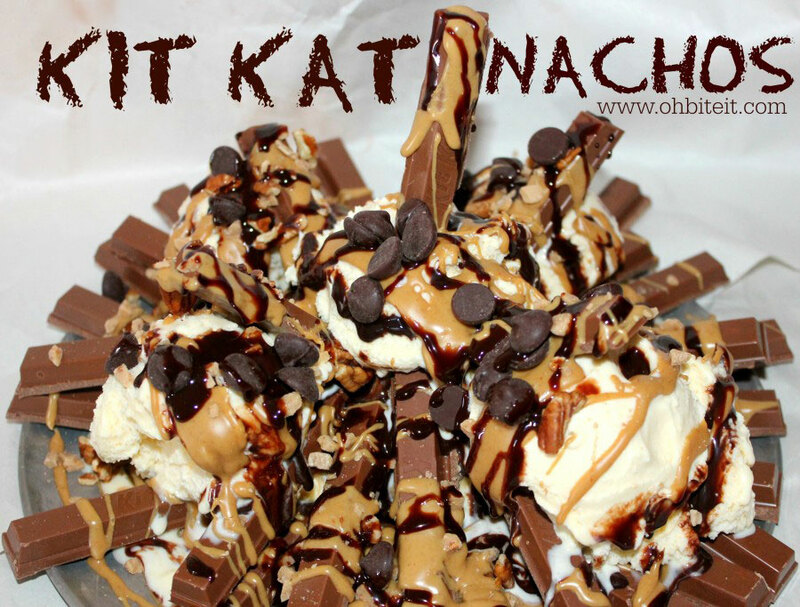 You can find this complete recipe and more awesome creations at Oh Bite It!